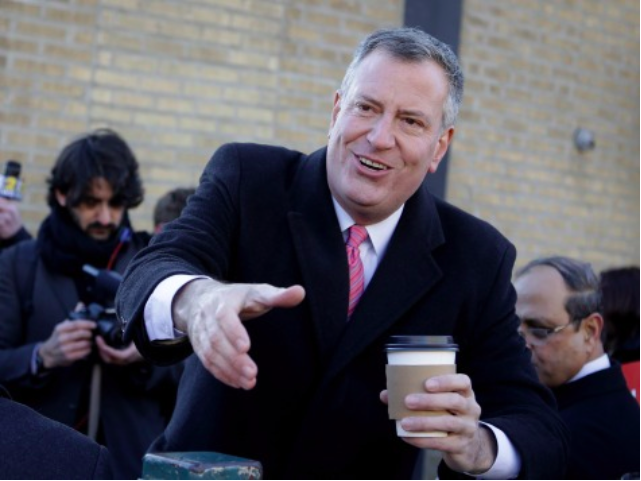 In an attempt to encourage illegal immigrants and other New Yorkers who do not have identification to sign up for the city’s new municipal ID, Mayor Bill de Blasio announced this week that those who participate will be eligible for a wide-range of free city perks. “The municipal ID is a powerful tool to bring more New Yorkers out of the shadows and into the mainstream. It is now also a key that opens the door for hundreds of thousands of more New Yorkers to our City’s premier assets in culture, science and entertainment,” said Mayor Bill de Blasio said Thursday in a statement. Those who sign up for the municipal ID program, which was approved by the City Council over the summer and begins at the beginning of next year, will be offered free membership to 33 of the cities cultural institutions — from Carnegie Hall to the Botanical Garden and the Metropolitan Museum of Arts to zoos throughout the city. The New York Post estimates the value of the benefits to be over $2,000. The card will allow free memberships for a year. According to reports an estimated 500,000 illegal immigrants live in New York City and the program in its first year is expected to cost about $8 million. The ID card is intended to provide people who do not have a viable form of photo identification the ability to do things like obtain a lease, library card, and bank account — as well as deal with the city government more effectively. “The Municipal ID Card embodies the values we cherish most about inclusivity and equality, and these memberships are another step forward on providing greater access and opportunity for our people,” de Blasio added.